The True Power of Viral: How Important Are Review Websites? Let’s welcome back Jane Smith this week. In case you missed out on last week’s blog post, we were following Jane’s decision making and search for her upcoming beach vacation. She was choosing a hotel based on her Google search and a number of review websites. Once Jane chose a hotel, she knew where she was going to be staying and therefore she is ready to pick out some activities and restaurants to fill up her day. Where does Jane start with her research today? 1) Search for activities and restaurants through Google in the city, town or area that she will be staying in. 2) Read reviews of restaurants on Yelp.com orUrbanspoon.com. 3) Search the website of the city/town she will be staying in for suggestions. 4) Log on to Tripadvisor.com to read about the top activities in the area, including restaurants. The most important thing to remember here is the reputation of your business, the searchability of finding your business and the appearance of customer service and friendliness is going to be important factors when a consumer is browsing / searching for something to do / some place to eat. 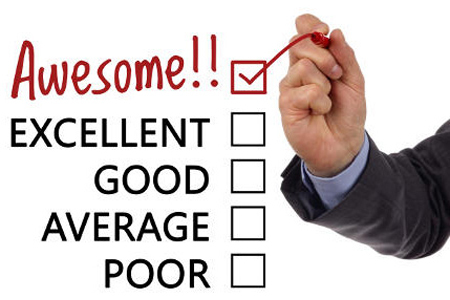 Politely ask consumers if they had a great experience, would they kindly write a short review about their experience. On the other hand, if you do encounter negative reviews, then make sure you answer these with kindness. Try not to act on the defensive. Further inquire so you get a good understanding as to why this person had a negative experience. Reviews are important so you know where to capitalize the positive aspects of your business and where to make changes to improve based on the negative reviews. This is your consumer feedback. Do you have any other suggestions about managing your review websites, including your social media profiles? Facebook and Google are two very important places to manage your reviews. Additionally, Google is taking into consideration for your search rankings your reviews on public websites (so, not Angie’s List most likely). This is yet another reason why you should be spending some time each week reading and responding to reviews and taking action. The Search Path: Does Your Web Presence Match Consumers’ Intentions?